Sports utility vehicles are on a roll, both in the high-end luxury car segment as well as in the mass-market. Further, the prices of mass-market SUV brands are rising while those of luxury SUV are dropping, narrowing the price gap between high-end and mass-market SUVs, according to a new report from Edmunds, the car buying and research service. Through August 2018, some 1.3 million new luxury vehicles were sold, accounting for 11.4% of the overall car market. But the bigger news may be that a whopping 62% of all luxury vehicles sold were SUVs, as more luxury brands are extending their SUV offerings into crossover and smaller-sized models with lower price tags too. Edmunds data reveals that the price gap between luxury and mainstream vehicles has narrowed from 58% to 48% in the last 10 years. This trend could threaten the “luxury from luxury nameplates,” the company notes, as luxury SUV models become more affordable. “The flood of SUVs in the market is also driving up prices of new vehicles overall, blurring the lines in the eyes of car shoppers of what ‘luxury’ really means,” said Jeremy Acevedo, manager of industry analysis at Edmunds. But while consumer demand for SUVs, luxury or otherwise, continues to grow, it is worthwhile to look at the brand that got the trend started — Jeep. Jeep offered authentic sport utility vehicles before anyone heard the term SUV. Based upon a scientific study of consumers, SBI has identified 8 distinctive VALS types that combine these perspectives that determine how an individual will express himself or herself as a consumer. In my work, I have found that consumers’ means and opportunity to purchase change over time. For example, people get older year-after-year and their incomes are likely to change too, and not always going up. Their purchase behavior can change on a dime, as new shopping resources shift and personal needs dictate. But while means and opportunity can change sometimes overnight, a person’s underlying motivations as a consumer, how they look at the world, interpret it and align their consumer decisions, evolve much more slowly, if ever. SBI’s Patricia Breman, senior consultant, recently did a deep dive into the psychological makeup of the Jeep brands and the VALS types for which each is intended. She shared her findings with me. Unlike Mercedes or GM which are much broader-based companies with a wider range of brands, all Jeep brands share a common DNA: authenticity. Jeep is the car that won World War II, or at the very least ferried the generals and officers who won that war. It’s been on every battle field since and had a starring role in war movies and television series that drove it full speed ahead into the popular culture. Jeep is as American as apple pie. It is rugged, reliable, resilient and dependable. It gets the job done. Jeep is a brand that proudly waves that flag. Today the brand is owned by Fiat Chrysler Automobiles. 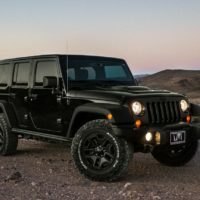 A recent report from carsalesbase.com reveals that Wrangler sales have grown from almost 81,000 vehicles in 1997 to roughly 191,000 vehicles in 2017. Jeep sales in the first five months of 2018 (more than 110,000 vehicles) are outpacing sales during the first five months of 2015—the landmark year for total units sold (almost 203,000 vehicles). Who is buying all those Jeeps? When it comes to car buying in general, and Jeep brands in particular, Breman says you only need to look to three VALS’ types, which also report the highest level of Jeep ownership. In addition, while Believers may own a Jeep, because of limited resources, they are more likely to own an older model, not be in the running to buy a new car. What they all share – Thinkers, Achievers and Innovators – is average income over $100,000, what I define as HENRYs (High-Earners-Not-Rich-Yet) with incomes ahead of 75% of all American households. Experiencers, on the other hand, may report high household income, but because of their age, they are more likely to be reporting the HHI of their parent’s not themselves. “Many Experiencers are still living in their parent’s basement,” Breman shares. For all, the appeal of Jeep is that it isn’t a run-of-the-mill or cookie-cutter SUV. Jeeps have a distinctive look. Of all the VALS types, Thinkers have the highest level of Jeep ownership. Thinkers are attracted to brands like Jeep that are safe and conservative, practical and durable and responsible. What is interesting in the data, however, is that there is a gap between Thinker ownership (26%) and Thinker willingness to buy a Jeep (12%). Given their propensity to delve into the data before making a purchase, Thinkers may be finding the newer Jeep models aren’t measuring up or that other brands such as Subaru fill the safety and reliability niche’ better. This has implications for how Jeep is presenting itself to the Thinker audience. For Thinkers, marketing that focuses on quality, reliability and longevity is called for, rather than marketing with a more lifestyle focus. “Achievers have a ‘me-first, my family-first attitude.” Breman says. These consumers are likely to have children, and will look to Jeep Grand Cherokee model to do the hauling. On the other hand, they might buy a Wrangler as their teenager’s car. “Typically Achievers see money as defining success. So they might own a luxury car and a Jeep as well, because Jeep isn’t necessarily a ‘prestige’ brand. But it has badge value that communicates a strong message about who they are: hard working, like their Jeep,” she adds. Of the VALS types, Innovators have the highest incomes. More importantly, Innovators are confident enough to experiment; they tend to view advertising with skepticism. They want the real deal. Innovators are independent by nature. The Wrangler or its Unlimited big brother will have appeal to Innovators who don’t want to run with the pack, but chart their own course. Experiencers have the greatest aspiration for the Jeep brand among all the VALS types, with 18% saying they would buy a Jeep. But as of yet, most Experiencers haven’t yet fulfilled that aspiration. “As the youngest of the types, Experiencers are dynamic, always on the go. They want the Jeep experience, but for most, their incomes haven’t caught up to their appetites,” Breman explains. Experiencers want to find their own path. “Jeep pretty much says I am an independent person. Plus Jeep has the macho factor going for it, with a don’t-mess-with-me-look to its grill,” she continues. While the Wrangler is picture perfect for Experiencers, because of their modest incomes, they may lean toward Jeep’s entry-level Renegade model. Jeep is an experiential brand that most especially takes its owners outdoors, rather than to the grocery store or mall. In that the VALS types have distinctly different approaches to outdoor experiences. Thinkers, for example, are more likely to go outdoors because nature provides them a place to rejuvenate and renew. Achievers go outdoors because it is a place to engage in activities with their children. Innovators often go to the outdoors to enjoy or explore nature or to engage in a variety of personally-challenging activities. And Experiencers, as their name implies, go outdoors to engage in a physically-challenging experiences. Jeep’s most-engaged consumers now and in the future are the Thinkers, Achievers, Innovators and Experiencers. Breman sees a common thread that motivates them all: The value of intangibles over tangibles. The old adage, “He that dies with the most toys wins,” has now been replaced. It now is,“He [ or she] that dies with the best toys wins,” Breman concludes. Jeep understands this shift and is aiming to provide its customers with the best toys with the heritage and authenticity of the Wrangler its pacesetter.